The future of loose diamond shopping online is here! In our online shop you can buy GIA certified loose diamonds with stunning macro shots that you turn around in 3D to your own liking for a perfect look inside. When shoppers buy online through our web shop from outside the European Union, the orders are without taxes. The rule of tax-free shopping applies to anywhere worldwide except for the E.U. 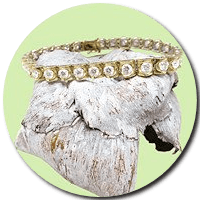 Our jewels have been made with the highest standards in terms of production quality. 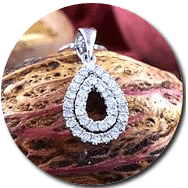 Whether it is necklaces, pendants, bracelets, earrings, rings, custom engagement rings, or any other type of custom thing you can imagine, we can create it. We are jewelers that have been selling diamonds but also diamond-set jewels for three generations, and have in that time gathered a very large amount of experience, bringing our grade up to par with the most luxurious brands in everything, including materials and finish, for extremely competitive prices. Want to know what other people are saying about our shop? Here are the platforms we actively get reviews on. Click any of the icons under the reviews to see what other people are saying. "They went out the way to show many things from their very elaborate inventory until she found this ring she really liked and we ended up buying. We both had a lot of questions, which they seemed to answer with pleasure. We left very happy." "Exceptionally friendly service, large selection and classy. They spoke fluent English and my fiancée loved the experience! I would for sure recommend you make a stop here if you want to buy fine jewelry. " "Me and my wife have been married for 10 years. I decided to buy her a diamond. During the whole process, they were very helpful and we spoke to each other in the phone when I made the order on their website. I get the feeling that they give you that extra bit of effort that really makes a difference. When I gave it to her, she cried of happiness. " "Fantastic customer service! They went above and beyond what could be expected. The earrings we ordered turned out to be even more beautiful and we got them on time, even though we live in the Caribbean. Couldn’t be happier with their product and service."